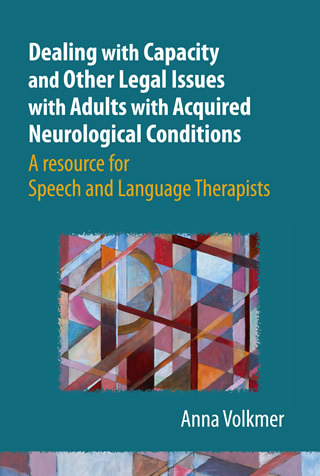 She has just had an excellent book published – Dealing with Capacity and Other Legal Issues with Adults with Acquired Neurological Conditions http://www.jr-press.co.uk/dealing-capacity-legal-issues.html. 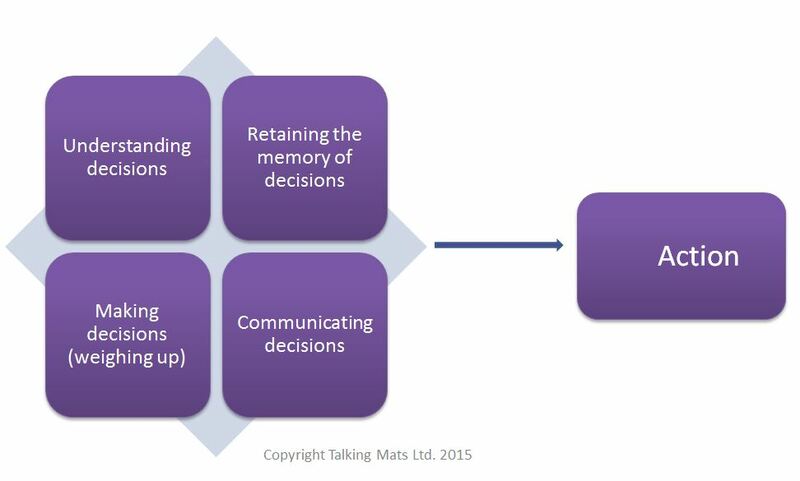 In it she describes how AAC methods, including Talking Mats, can be used to support people in expressing their decisions. Following a particular stimulating discussion with the publishers at J&R press, they invited me to submit a book proposal on this topic. As I was developing this idea I found the topic of mental capacity was raised more and more often at study days and seminars I attended. At these study days I started linking in with more like minded speech and language therapists such as Mark Jayes, Hannah Luff and Claire Devereux. These were clinicians who all agreed on the diversity of our potential role in supporting our patients around mental capacity issues. These common interests enabled a collaboration. Our book is now published. This entry was posted in Aphasia, Blog, Capacity, Communication difficulties, Dementia, Legal and tagged AAC, capacity, Communication difficulties, Talking Mats on February 19, 2016 by Joan Murphy. During the Eating and Drinking seminar, we provide background on how and why the resource was developed and showed some DVD examples of people using the resource. This really brings things to life and shows how important it is to give people (with and without speech) the opportunity to consider and talk about different aspects of eating and drinking. 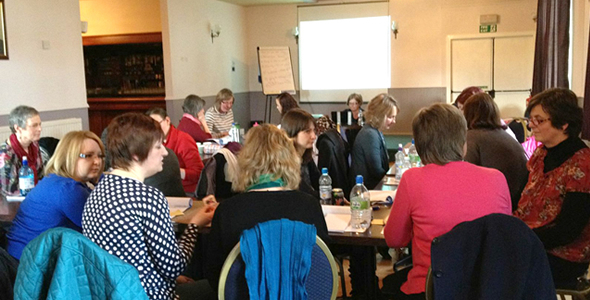 We also give people hands-on practice in using the symbols from each topic. Each participant will receive a copy of the full Eating and Drinking resource, including symbols, a mat, and explanatory booklet. 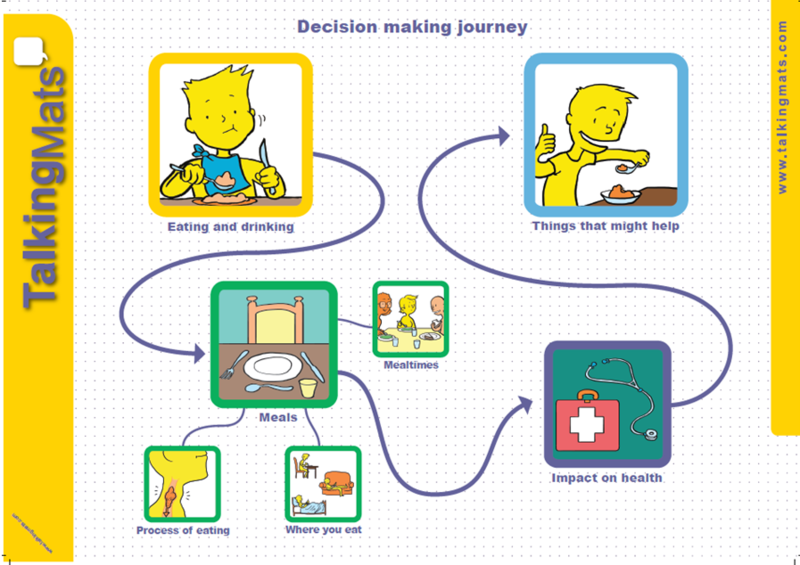 They will also be given the opportunity to work through some practical examples and think about options to help people understand issues and make decisions. If you have completed a Talking Mats training course and would like to attend either of specialist seminars, please click on the relevant course and fill in the registration form. This entry was posted in Blog, Capacity, dysphagia, Eating and drinking, Legal, Participation, Self management, Training and tagged capacity, Dysphagia, Eating and Drinking, Participation, Talking Mats, Training on February 12, 2016 by Joan Murphy.